Good. Cd and case are in good condition. Sold by a UK seller. Knopfler. Very Good. In very good packaging. 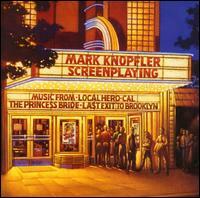 Mark Knoplfer-Screenplaying by Mark Knoplfer. Knopfler. Very Good. In very good packaging. Mark Knopfler-Screenplaying by Mark Knopfler.